It is difficult to find a repair shop for your record player in these days. Even if you find out a shop where enable to repair a record player or a phonograph. Most centers will not look at them carefully. In case they do, they cannot diagnose the exact matter. Do not worry about that because you still have another option – undertake record player repair by yourself. Record player repair requires mechanical and electrical knowledge. The record players run on the foundation principles of geometry and physics. Typically, the turntable rotates the record at a set speed. The needle works on the vibrations the groove generates. This physical vibration is transformed into sound or an electrical signal which is amplified for playback. 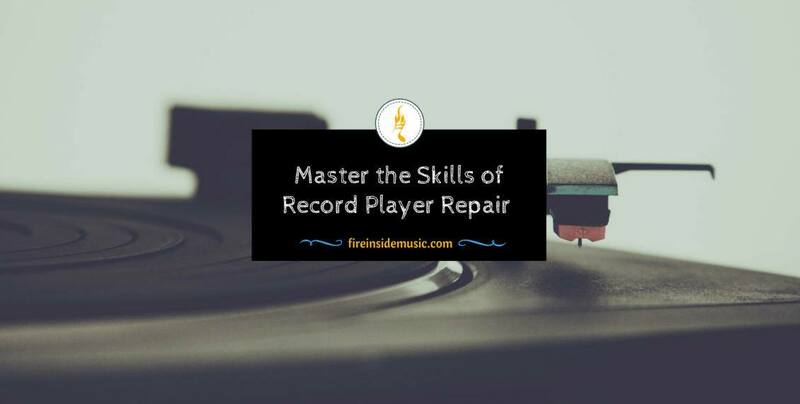 After learning fundamental principles of diagnostics and mechanics, you can discover and fix record players of historic or sentimental value. You should turn off and unplug your record player in advance when you want to restore an old record player. Then, you check the record player directly for signs of damage. Look for dents, chips, and broken parts. Do not forget to compare these to a photograph or manual describing the product when it is new. After that, you should make a damaged parts list for replacement. Pay attention to the power source by checking all plugs and cables for unraveling and damaged connections. Substantiate that the outlet of the record player is plugged into which is not turned off. In this time, you should turn on the multi-meter to inspect for continuity at all cables. Then, you should not miss out checking the turntable plug and wires by connecting the leads of the multi-meter to both ends of the examined cable. Thereafter, you need to replace faulty sections. To check for shorts and continuity from the plug to the cartridge links, you should connect the multi-meter to the signal cables. Then, you need to scrutinize the output cables for secure physical and electrical connections. Next, you use a signal tracer to produce a test signal path through the output cables. Establish the operation of the output cables and replace one or both of these when necessary. To ensure the needle on the tone-arm works well, you should turn the turntable on and check it on a record at the same time. Then, you need to replace the needle if it is missing. In this time, you listen and compare the sound output before and after. A cartridge sometimes can fail. This happens when all connections are running and the needle accurately operates, but the cartridge does not make a signal. 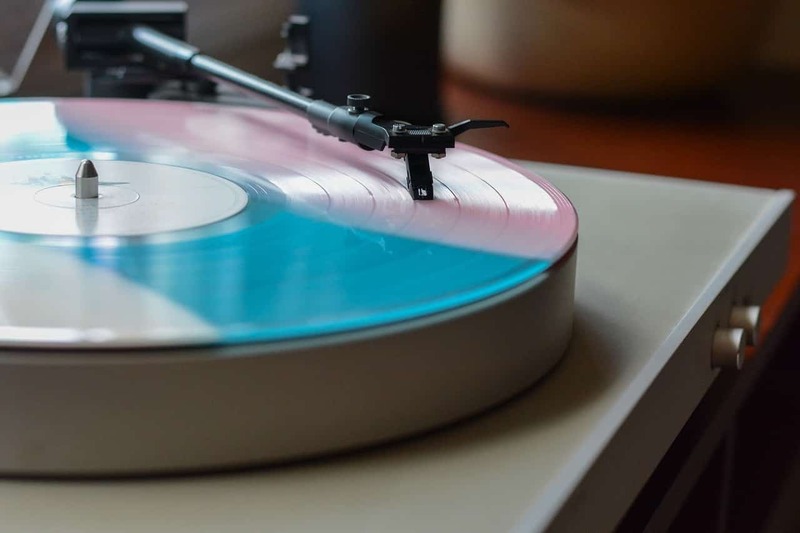 Please keep in mind that the design and the manufacturer should pay attention to the cartridge and the record player when purchasing replacement parts. Take a screwdriver to replace the cartridge and disconnect the old one. Then, you put a new screwdriver. If you find out faulty, frayed or damaged tone-arm cables, then you could replace it on a regular basis. The cables ought to connect to the phonograph cartridge with the crimp or the connections. When replacing the threading with the tone-arm, you should draw attention to the wires because these are thin gauge and easily damage. Furthermore, cable connections could be dirty or corded. In this situation, you should get rid of and clean the connections with emery cloth or sandpaper. Do not forget to reinstall them. High-end turntables have two main types which are direct-belt turntables and belt-drive ones. With direct-drive turntables, an AC motor is turned on and rotates a drive wheel which also rotates the turntable. The rubber on the drive wheel enable to get worse over time or lose the grip and it must be replaced. In general, the belt fails first and this is the main reason for replacing. Moreover, the motor or switch has failed if the turntable cannot rotate at the exact speed. Check the motor and housing for burning marks and changing (if relevant). When you discover the wraps or vertical movement show a twist in the turntable platter, change a new platter. If you fail in fixing it, I suggest you should bring it to a professional place for fixing. Or you can consider to buy a cheap turntable under $200. The biggest point that you need a new belt is when the record player turns on but the turntable cannot spin at the same time. 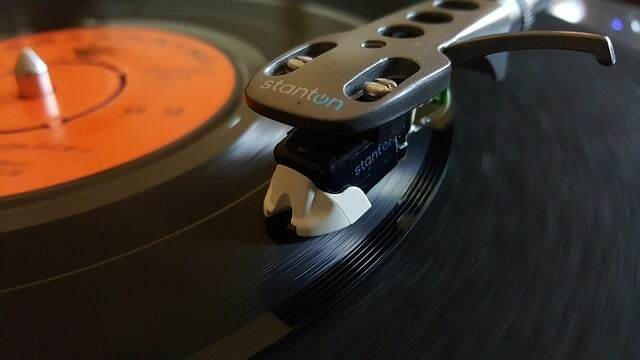 It is said that there are extra indicators such as your record players sound deeper or lower-pitched, a change in the speed of your records (especially when the needle takes the record), you have already downloaded and used a strobe disc that tests the running speed of your record player to ensure it perfectly runs. The truth is that all belts do not have the same models and sizes. Even if you’re possible record player belt has a different thickness. If necessary, you should purchase the similar belt your record. Furthermore, there are various websites that give specific belts like Turntable Belts and Needle Doctors. In this case, you need to click your make and model only. When you cannot have an exact replacement, what should you do? Measure length and width of your old belt are the key answers. If you throw your old belt away, then you should pull off the platter and gauge the perimeter of the hub with a tape measure. Estimate from 5mm to 10mm is the suggested length for your new belt. Disconnect the power of the record player will prevent potential electrical shocks although they are probably not happened. Also, this is for helping you avoid dangerous situations as well as the motor. The plastic mat is the surface which the record sits on. It could be easily removed from the center shaft. You pull it off and set it aside at once. The platter is a metal or plastic circle under the mat. It often has two access ports and small holes which you can see the motor thanks to the platter. It could be attached to the center shaft in many ways, but they are all simple to take off. When you see there is a small and C-shaped clip placed on the center shaft, you should use a flat-head screwdriver to pry it off. Do not forget to save it for the upcoming time. In case it does not have clip but the platter withstands removal, it is probably press fit. When you pull it up, take a hammer to gently tap on the center shaft in order to unfasten the platter. By doing this, you can wipe down the motor if you have not do it in a long period of time or it has dusty. You get a lint-free rag and rubbing alcohol to clean the exposed parts and get rid of dust or dirt. If the platter is a solid piece, you will need to discover the small little peg near the edge of the platter. With the belt on the center circle, pull the belt onto the post so that you support the entire belt looks like a round-bottomed triangle. In case your platter has access holes, you can ignore this step. Place the platter back in your record player. However, please note that you should not replace the C-clip. The motor is a small metal shaft coming up from a corner of the record player because the belt hooks to it that turns the record when the motor is running. Line up the access holes on the platter in order to catch in and touch the motor. In case your platter cannot have access ports, then you could align the post on the bottom of the platter with the motor spindle. After that, you need to place the platter down and spin it in two full rotations and counterclockwise to reach the belt up to the motor. After grabbing the belt and hook it, you pull it through the access hole and stretch it over the motor spindle. There should be a little cap on the top that stops the belt from slipping off, so you need to pull the belt over this and also rest it on the body of the motor. When checking the belt, you can see both consistent and light resistance. The latter will not spin all the time, but it is also not stopping immediately. If you find out this situation, you can inspect the belt for twits or kinks. Then, you ought to reattach it. When you see the process is smooth, you enable to replace the C-Clip and mat. Plug the player in again and observe it a spin. Well, when you understand each part of the record player and how it works, record player repair is very simple as it does. Even if you are able to find out a reputable repairing shop, learn a new thing is not a idea! 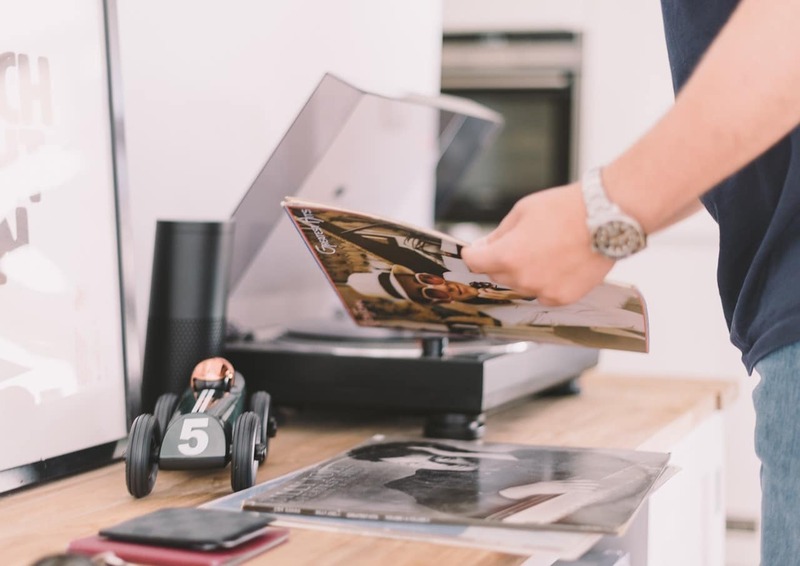 Turntable vs Record Player – Which one is the Best Option?